We have moved from highlighting the history of what has become the modern signs and wonders movement, most noticeably, the New Apostolic Reformation (NAR) movement. As we indicated, since the very early 1900’s, nearly each decade has had a distinctly named movement but they are all tied to and based in signs and wonders. Moreover, all of it really came to the fore due to philosophers embracing the concept of existentialism. Existentialism basically elevates feeling and emotion over reason and becomes the final authority for determining truth. Since then, we have moved into another set of articles, which are all tied together under the banner of knowing God’s will. What does that mean for the Christian, if we compare it to how the signs and wonders movement determines God’s will? Folks within the signs and wonders movement determine God’s will through the many manifestations they firmly believe are the result of God’s Presence in their midst. We believe we’ve shown this is not only not the best way, but often provides faulty and even erroneous information because of the heavily reliance on the nature of the person’s feelings who is seeking God’s will. It is always interesting how often we Christians tend to take things out of context. It happens to all of us as we to do this without thinking. It is unfortunately, very much a part of the signs and wonders movement as I’ve attested to from my own past personal experience and I believe we’ve shown that to be true from numerous examples we’ve provided in previous articles related to the New Apostolic Reformation movement (NAR). The many “prophetic words” routinely given by leaders within this movement are often either a jumble of out-of-context Scripture or exceedingly generalized “prophecies” about some new move of God. This happens – whether in NAR or in our own personal lives – due to one main issue. We fail to take into consideration the context of the Scripture. This has been the case with Rabbi Jonathan Cahn’s numerous books where he tries to build a case for some future event that he implies the Lord revealed to him, that is built on one or two verses from Scripture. He then attempts to take these few verses and applies them generously to the United States. His overall attempt to link America with Israel is clearly seen throughout his books, yet the Scripture has no such link. The verses he uses are often solely for the nation of Israel, but he tries desperately to prove a link between Israel and America, therefore, he concludes that what happened to Israel could also happen to America…unless there is revival. Of course, aside from the nation of Israel, God is not interested in saving nations. This is not a popular notion today because so many Christians in America believe God will save our land if we pray and dedicate ourselves to helping Him do just that. This inevitably leads to a belief in some form of Dominionism. This is the belief that Christians must engage the culture to turn America around so that it will become a theocratic nation as Israel was created to be. As more of the world’s nations are converted to God (not sure how that happens), then ultimately, Jesus will be able to return to this planet. Dominionism, by its very nature and definition denies the true sovereignty of God. Dominionism, sadly, is the result of not only taking verses of Scripture out of context, but of seeing other verses allegorically, instead of literally (in their most plain and ordinary sense). Christians do this too often. A good example is when you might hear someone from the Word of Faith (WOF) or Prosperity Gospel movement proclaim that Joshua 1:8 proves that God wants us to “prosper” or, in their vernacular, become wealthy. Taking this verse out of its natural context, it’s not difficult to see how it can be twisted to mean something it does not mean. The idea here is that meditating on God’s Word will pave the way to success and prosperity, so we’re told. But is this what Joshua meant when he spoke those words? Hardly. The context fleshes out the full meaning. The first chapter of Joshua opens with God’s commissioning of Joshua to lead the Israelites into the Promised Land. Recall that Moses was prohibited from doing so because of his sin in Numbers 20. There, Moses struck the rock so that water would pour forth, instead of simply speaking to that rock. The rock of course, represented Christ and this incident occurred years before when Moses was told by God to strike the rock (Exodus 17). Now, in Numbers 20, Moses was told to simply speak to the rock. Both incidents represented the first and second coming of Jesus. He came first as the Suffering Servant and was abused, beaten, and crucified. Because Moses struck the rock on the second occasion, he ruined the motif God wanted to present about Jesus’ second coming, where He will come in power and victory. No one will abuse Him then. As another result, God prohibited Moses from leading the Israelites into the Promised Land. Appointed by God, Joshua took over the task of leading the people into the Promised Land. Joshua stood up to point out to the Israelites that if they dedicated themselves to God, if they meditated on His Word, if they hid His Words in their heart, and if they worked to observe (obey) all that was written in that Law, then they would be “prosperous” and would have “good success.” What is this referring to here? The Israelites knew that going into the Promised Land, God would use them as His arm of judgment against the many pagan nations that lived there. It is in that sense that Israel would be “prosperous” and would have “good success.” Of course, it was intended that Israel would be the example to all other nations how to live for God (from the heart). But of course, they failed miserably time and time again in this. But God was not promising to make the Israelites wealthy. He was promising to be with them, to guide them, to gain the victory over the pagan nations through them. But Israel had to do something for that to happen. Israel had to immerse itself (as a people), in God’s Word. They had to be willing to study, memorize, literally hide God’s Word in their hearts so that they could observe it in daily living. In other words, Joshua was telling the people that only if they were willing to adopt God’s ways from the heart (not merely outwardly), would they be “prosperous” and have “good success” in vanquishing God’s foes from the Land. There was still a great deal of work ahead of the Israelites and a great deal of responsibility rested on their shoulders before God. If they did their part of the bargain, there would be success. If not, there would be failure. Joshua was essentially telling them that if they spent quality time memorizing and meditating on God’s Words (“the book of the Law”), it would become part of them. They would then live outwardly what was inside them. God would then work in and through them to bring His goals and purposes to fruition. It is actually the exact same for the Christian, except that we are not here to take “land.” We are here to free prisoners from Satan’s kingdom (Matthew 28). That is the scope of our commission. Joshua 1:8 says absolutely nothing about either Jews or Christians becoming wealthy if we will simply meditate on God’s Word. Yet, there have been some who like to use this verse and others like it out of context to cause people to believe that God exists so that His followers will become rich and live their earthly lives out in prosperity. This is not what the Bible teaches and if it is, clearly Jesus and His original apostles missed that point entirely because none of them were rich! If we are going to see God’s will unfold in our lives, we need to be reading His Word, studying it, and memorizing it as our starting place. We then must be willing to put things into practice and God will enable us through the power of His Word. Beyond this, we must be extremely careful to not take things out of context, which allows an erroneous and often dangerous meaning to be applied to His Word. We must guard ourselves from doing this. God wants us to prosper yes, but in our spirits. While He certainly may make some people rich, He does so for His purposes only. Too many false preachers today teach that God wants you rich, that if you’re not rich, you’re doing something wrong. They say that as you “plant” seeds of faith in large sums of money often to their ministry, the only ones who are getting rich are the false teachers. There is one particular church in the Atlanta area where you cannot become a member unless you are willing to let the finance committee of that church see record of your bank account, how much you make and where you spend your money. This gives them the advantage of knowing how much you make so they can keep track of how much you give…to them. Failure to give at least 10% means you are not qualified to be a member. This is diametrically opposed to what is taught in the New Testament regarding giving. 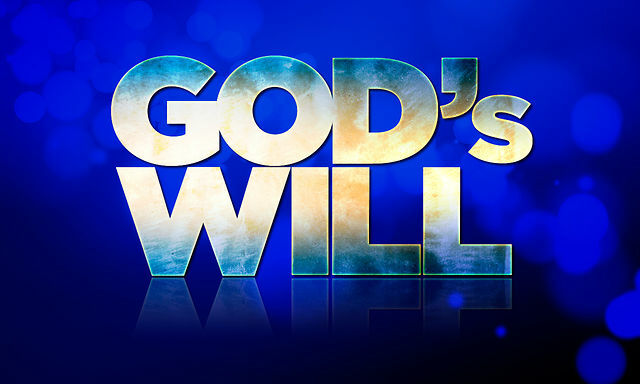 To know God’s will, means knowing and thoroughly understanding His Word. It cannot be emphasized enough that we must be so careful in guarding ourselves against taking things out of context because of the damage that is often done to God’s meaning of His Scriptures. Context is often the arbiter of meaning. We must always consider the full meaning of a verse or verses of Scripture when we choose passages to memorize. This is only accomplished when we consider the verses surrounding the verse or verses we choose to memorize. This of course is the extreme danger in trying to find God’s will by simply opening the Bible and pointing randomly to a verse of Scripture as some folks do. God does not guide us through that method of divination. If you want to know God and His will, it starts with reading, studying, meditating, and memorizing His Word. Of course, the very first step is in being a Christian (born again, or born from above as Jesus explains to Nicodemus in John 3). God reveals His will more naturally to those who are dedicated to Him, who seek Him first, who dedicate their lives to being true “bondservants.” A bondservant is a slave who wants to be a slave. They are also referred to as “indentured servants,” those who willingly attach themselves to another as lifelong servants. God is looking for people like this, those who are willing to deny themselves so that God will have them as an open vessel through which He can work. Is that you? Are you willing to submit yourself to Him as Jesus did? Jesus emptied Himself, not of His deity, but of His self-will, in order to allow God the Father to work in and through Him 24 hours a day, 365 days a year for the duration of His earthly life. Aren’t you glad? It is what allowed Him to offer Himself as a propitiation for our sin – yours and mine. If we are going to follow Jesus, how can we do any less? For the record, I do not do this perfectly. Far from it, but like you, I am learning how to submit myself to Him so that He can work in and through me to accomplish His will. The more I submit to Him, setting aside my own desire to satisfy myself, the more He shows me His will. Entry filed under: Atheism and religion, christianity, Cultural Marxism, Demonic, devil worship, Eastern Mysticism, emergent church, Emotional virtue, eternity, israel, Judaism, Maitreya, new age movement, Political Correctness, Politically Correct, Religious - Christian - End Times, Religious - Christian - Prophecy, Religious - Christian - Theology, salvation, Satanism, second coming. Tags: context, existentialism, god's will, israelites, joshua 1:8, literal interpretation, moses, NAR, new apostolic reformation, prosperity gospel, signs and wonders, word of faith. Re Chief Rabbi and Teacher Nicodemus evidently became a born again follower of Jesus. Why? In John 19;38-48, both he along with influential and respected Joseph of Arimathea defiled themselves by touching the body of Jesus and thereby also defied the High Priest. Secular historical sources of lesser but reasonable credibility suggest that both were spared execution and were exiled 7 years later to the farthest part of the Roman Empire, the British isles where the local records show that they were missionaries and active merchants. Being a strict dispensational biblicist, I normally reject all such extra biblical revelations or any teachings after the Book of Revelation, even by the post Apostolic church fathers, if adding to or taking away from divinely inspired Scriptures. All such uninspired teachings would have lesser or no credibility. But their banishment makes sense and does not contradict anything in the Bible.